Need a getaway in the middle of winter to relax, do yoga and be surrounded by nature? 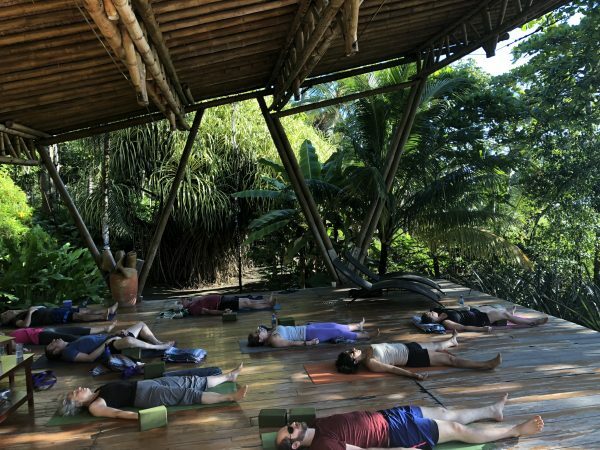 We are leading another yoga retreat to Costa Rica. We offer a variety of yoga styles, depending what the day calls for. Did we mention monkeys sometimes swing in the trees while we practice, hammocks are on every porch and the food is the most colorful bounty of deliciousness you could imagine? Yoga in one of two gorgeous studios every day? A stunning beach? Pool & hot tub? Hammocks? Amazing, healthy food from their incredibly talented chef. ?Optional massages, excursions and activities? FUN? Take a minute. Think back to last winter.BACK AGAIN?? Are you kidding me!? LOVE YOU LOVE YOU!